Confession: I don’t care at all about Valentine’s day. I never have – regardless of my ‘relationship status’. But – everyone has been posting super yummy Valentine’s-Day-Themed recipes, and that really made me crave something with chocolate and cherries. 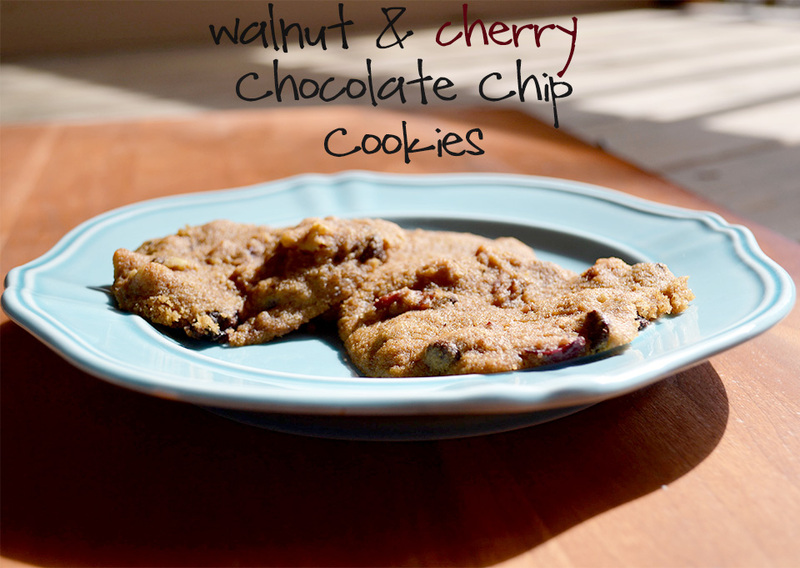 And – you reap the benefits – with these amazing [Not Valentine’s Day] Walnut & Cherry Chocolate Chip Cookies. I am such a Valentine’s Day scrooge, I almost didn’t even share these with you this week – because they ingredients teeter just on the edge of some sappy Hallmark card. But then I tasted them, and my heart softened just a bit, and I decided to share them. I’ve been experimenting with some different flours in the past few weeks, and this is the first recipe I’ve made made using coconut flour. I didn’t even know much about coconut flour until recently – and it’s been one I was avoiding. Most of the recipes I’ve found with coconut flour contain eggs – and I was nervous to try the recipes with egg substitutes. Turns out? It’s not that scary. 🙂 And! Coconut flour has some pretty unique health benefits – including being completely grain free, as well as packed full of protein. You can learn more about coconut flour in this great post by Nourished Kitchen. 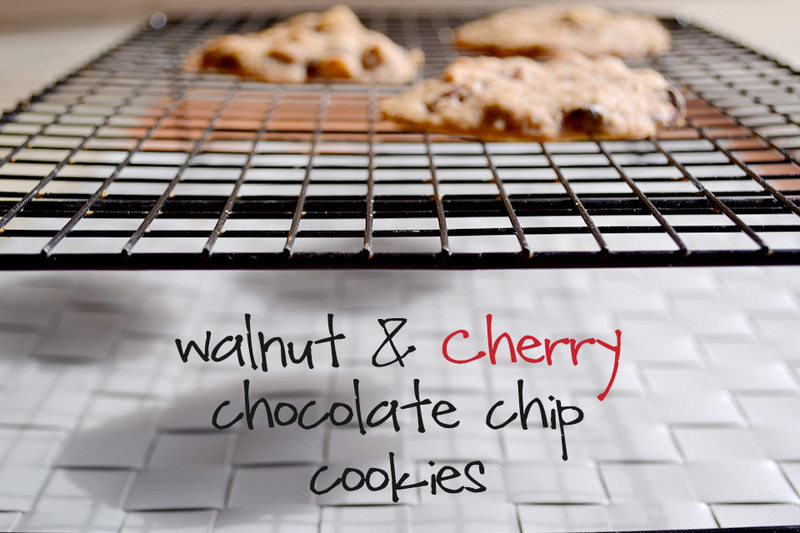 For these cookies I packed them full of Valentine’s Day yummy goodness – including cherries, walnuts and chocolate chips. If any of those items aren’t your cup of tea, feel free to substitute – but I would keep the ratio of add-ins to 1/2 a cup total. 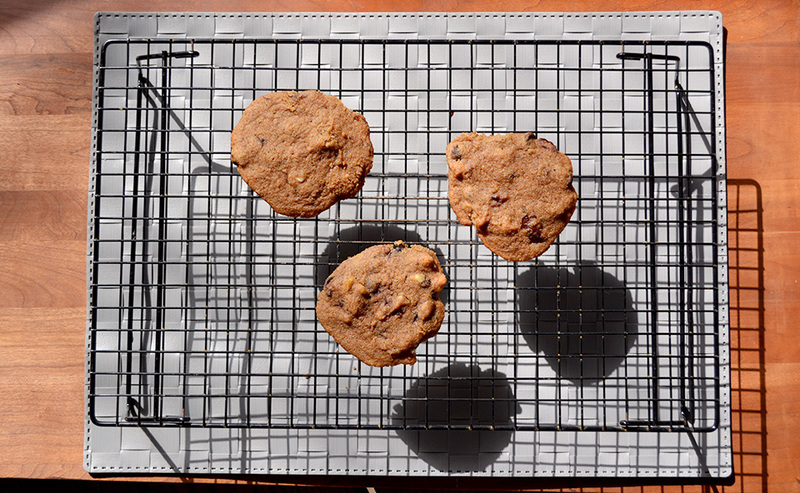 These cookies have definitely given me confidence to try other coconut-flour adventures. So, stay tuned! Once at room temperature, store in an airtight container. 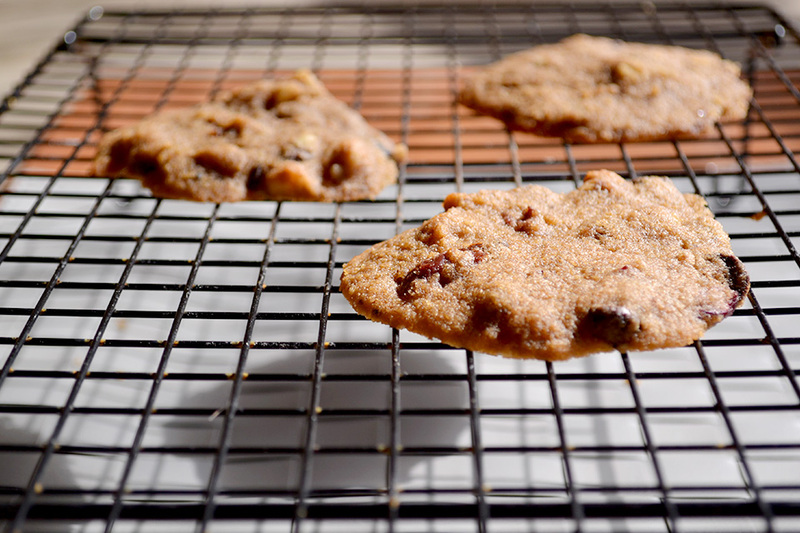 If you want the cookies to stay crispy, store them in the freezer and they will maintain the perfect consistency. 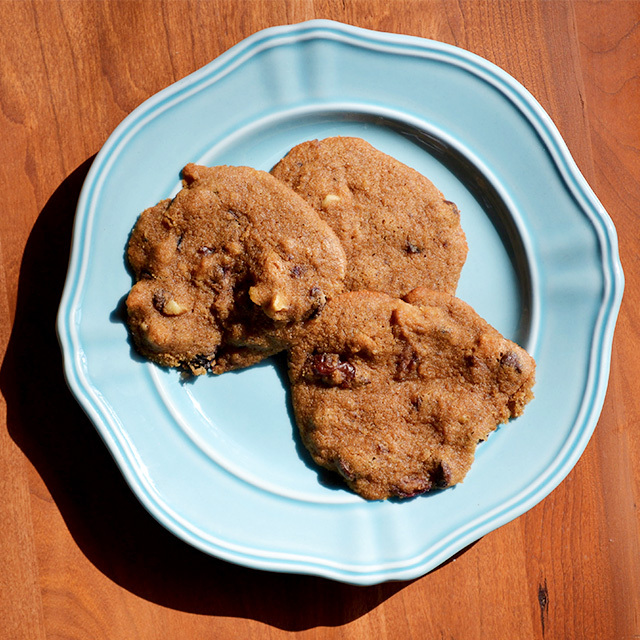 I included this recipe in Ricki Heller’s recipe roundup. You should go check out other recipes there! They look so soft and melt-in-your-mouth delicious! 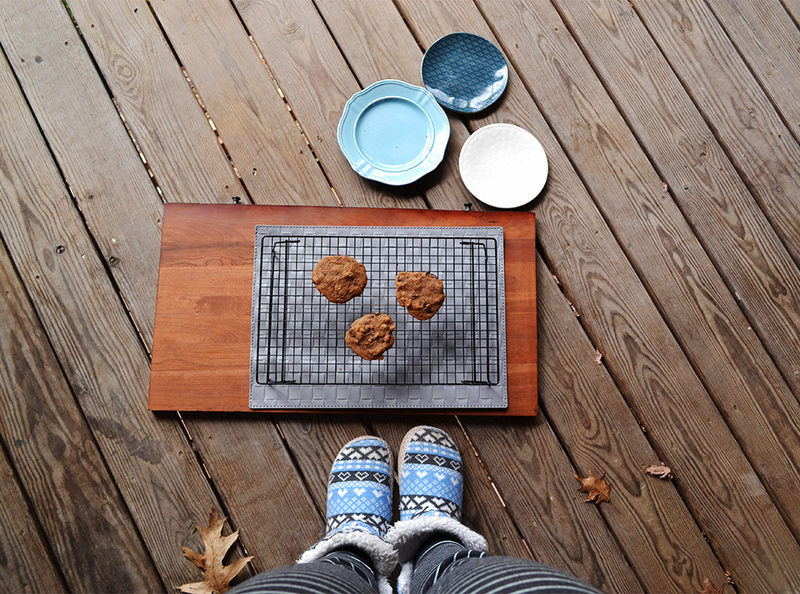 Can you believe I haven’t baked any cookies since I fell victim to The Great Christmas Cookie Coma of ’13? I think I’m ready to reintroduce them to my life. 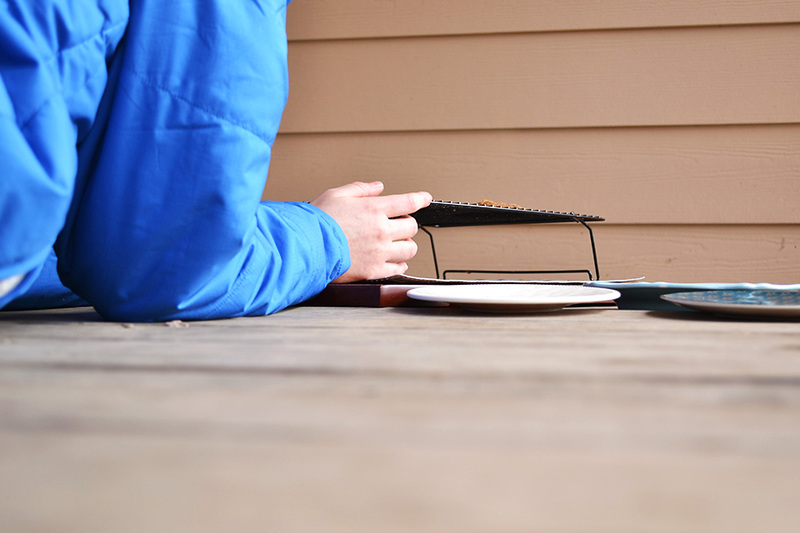 Also… NO WAY are you taking pictures outside! Jealous! I’d freeze all my appendages off if I tried that. They were so melty amazing that they softened my scrooge – valentine’s – day – heart. I think it’s high time that cookies come back to your life. They really didn’t mean to hurt you. They were only trying to love you. Love you a whole whole lot.